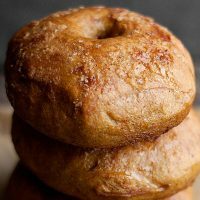 These delicious and easy French Toast Bagels are flavoured with maple syrup and topped with maple sugar. 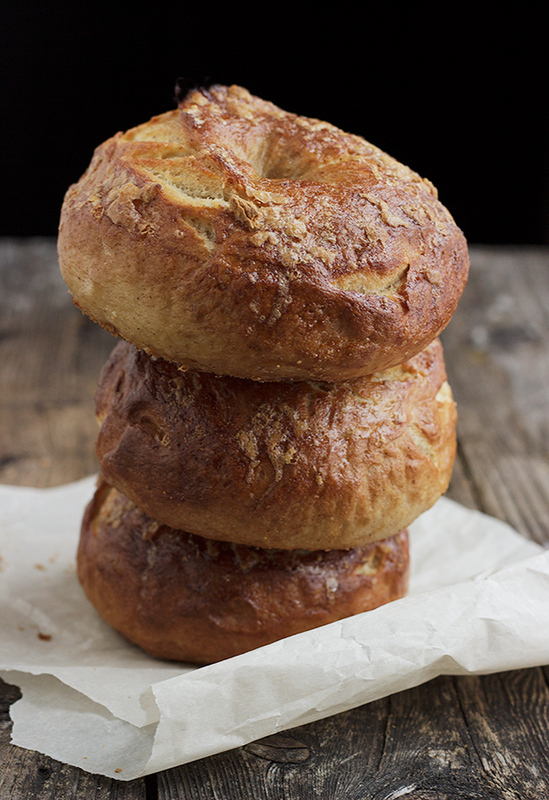 I think there’s maybe nothing nicer for breakfast than a warm, buttered French Toast bagel. The smell of maple coming up from the toaster. Intoxicating. The melted butter together with the lightly sweet carbs. Always perfect. 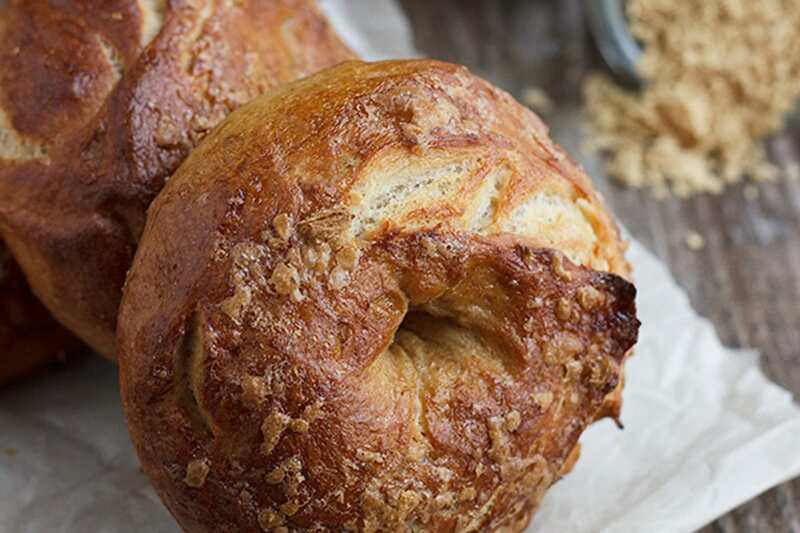 These French Toast Bagels came about this week for two reasons. First, my sister mentioned having one somewhere (and really enjoying it) and then I found a bag of maple sugar flakes in my cupboard. That’s about all I need to get some baking inspiration. I usually use a variation of Peter Reinhart’s bagel recipe, which is delicious, but a two-day baking adventure. For these, I decided to see if I could drastically reduce the time and still get a great bagel. I’m pleased to report, I did. That said, you’ll still need a few hours to make these bagels, but most of it is passive rising or chilling time. The chilling time after shaping the bagels is very flexible, so it allows time to do something else or for an overnight rise, if you’d like to make at night and boil/bake in the morning. As for the french toast flavours, I added a couple of eggs, some cinnamon, brown sugar and vanilla, along with some real maple syrup. A generous sprinkling of the maple flakes goes on before baking. Despite totally winging it, I have to say, they really do taste like french toast! I wouldn’t change a thing. If you can’t find maple sugar flakes, maple sugar will work just as well. I found maple syrup flakes in a bag (not in a bin), at Bulk Barn in Canada. I imagine health food stores or sections of larger store would have maple sugar or flakes, as well. I really recommend seeking them out for these bagels. They really are the perfect finishing touch. Failing that, a little brown sugar is fine to use. These bagels are best eaten as soon after baking as possible. The sugar topping will tend to melt a bit the longer they sit. If you can’t eat them all up quickly, they do freeze beautifully. 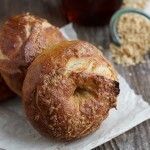 Easy french toast bagels, flavoured with real maple syrup and cinnamon and topped with real maple sugar flakes. 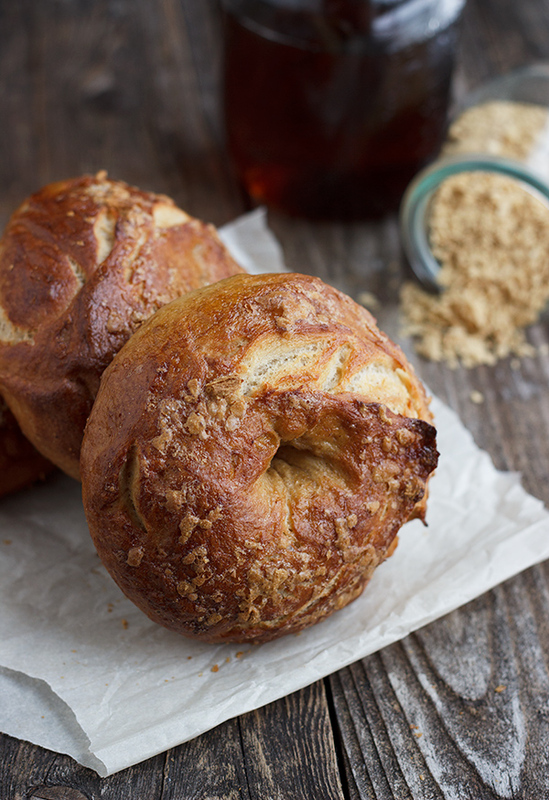 Look for maple sugar or flakes at Bulk Barn or health food stores.These bagels freeze well. Makes 8 large -10 smaller bagels. *If using active dry yeast, proof yeast in water prior to adding to dough. In a large bowl or the bowl of your stand mixer, combine the flour, water and yeast. Using your paddle attachment, mix until well combined. Let stand for 20-30 minutes, until bubbly. *If using active dry yeast, proof yeast in a couple of tablespoons of water before adding. Add the rest of the ingredients, except the flour and mix in with your paddle attachment. Switch to your kneading hook and add 2 cups of the flour. Knead until combined. Continue adding flour 1/4 cup at a time and mixing in, until the dough is smooth, cleans the bowl and is not sticky. Transfer to a greased bowl, cover and let rise until doubled, 1 1/2-2 hours. Remove risen dough to a lightly flour surface and de-gas gently. Cut dough into 8-10 equal-sized pieces and form each into a ball. Let rest a few minutes. Using a floured index finger, poke a hole into the centre of each ball and stretch around to form a bagel shape. Place shaped bagels onto a parchment-lined baking sheet. Repeat until all are formed. Cover well with greased (sprayed with cooking oil) plastic wrap and let stand at room temperature for 10-15 minutes, then transfer to the refrigerate. Chill dough for at least 1 hour (can let chill up to 12 hours). Bring water to a boil in a large pot. Pre-heat oven to 425° F. with racks in lower 1/3 and upper 1/3 of oven. Line two baking sheets with parchment paper. When water boiling, add 1 Tbsp. baking soda. Remove bagels from the fridge. Add 2-3 bagels to the boiling water. Boil for 1 minute, flip over and boil for 1 minute more. Remove to a parchment lined baking sheet, 4-5 per baking sheet. Repeat until all bagels are boiled. Mix egg with 1 Tbsp. water. Brush each bagel liberally with egg wash and sprinkle tops generously with maple sugar or flakes. Place baking sheets in oven on top and bottom racks. Bake for 10 minutes. After 10 minutes, switch the baking sheets top to bottom and front to back. Bake a further 8-10 minutes, or until golden. Remove to a cooling rack to cool. 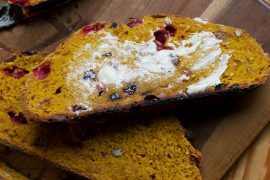 Perfect for fall baking and eating, these ones are perfectly spiced and pumpkin flavoured. I made these today with the intention of having breakfast for dinner, but we ended up going out to eat instead, so we had these for a dessert! They were DELICIOUS!!!! We had them warm right out of the oven and loved them! They were so good that I asked my parents to come over late for a quick dessert! Thank you so much for sharing your recipes! 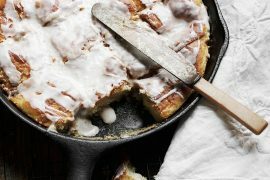 After making your cinnamon skillet bread several times, I knew these had to be good too! I can’t wait to try the pumpkin bagels next! Thanks Erin and so glad you enjoyed these! I am such a fan of homemade bagels and these are a lovely, sweet one. So glad you enjoyed them, Michelle. One of my favourite bagels! I had never considered the possibility of making my own bagels. These look incredible – my family will love them. Thanks for the idea! Hope you get a chance to make some. 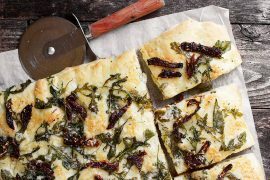 These are a quick version, so a great recipe to start with. LOVE the french toast flavors! I’ve got to try these beauties! Everything about these bagels look perfect! I could totally go for one right now with my tea. Perfection. Thanks Abbie and these bagels would be great with tea. Thanks for pinning! Absolutely gorgeous, love the maple topping! I had a French toast bagel when they first came out at Tim Hortons! They’re super awesome, so I can only imagine how great these homemade ones are!! Yum! I was really pleased with how they came out. Delicious warm with lots of butter!